this powerful two word message became the humanitarian platform for thesalting. 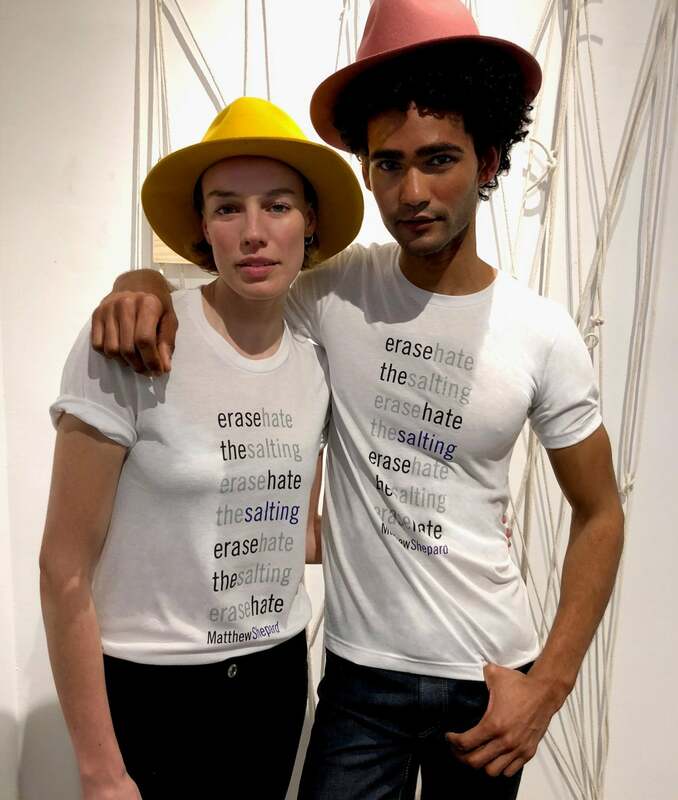 we are extremely proud to announce our collaboration with the matthew shepard foundation and introduce our custom erase hate/ thesalting t-shirt. proceeds from the sales of this t-shirt will go directly to the foundation to assist in their continued effort in ending hate, to help mend, to remember matthew and to spread love. erase hate by replacing it with understanding, compassion and acceptance. through local, regional and national outreach, empower individuals to find their voice to create change and challenge communities to identify and address hate that lives within their schools, neighborhoods and homes. on october 7, 1998, matthew shepard, a 21-year-old student at the university of wyoming, was brutally attacked and tied to a fence in a field outside of laramie, wyo. and left to die on october 12, matt succumbed to his wounds in a hospital in fort collins, colorado. matthew’s parents started the matthew shepard foundation to honor his life and aspirations.